This year your generosity allowed us to take out funds amounting to £3,500. Allowing school fees for 6 students for one year as below. 12 months food £133. Total £399. She is 18 years old in her first of a three year nursing course. One of nine children living in the countryside. The college is in Dembi Dollo, three hours from her home - the rent covers her stay while at college. 12 months food £133. Total £386. He is 18 years old in the first of a three-year course to be a Medical Lab Technician. 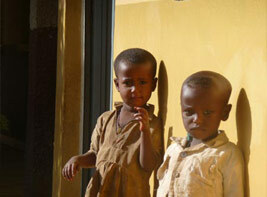 Lives in Bahir Dar and is one of five children whose mother helps in looking after the Porridge People. Tamasgen also helps out with the development of the Porridge People when not at college. Tamasgen 15 year-old brother moved from state school to the Catholic School. funding to cover food and rent totalling £166. Continuing to fund her in her final nursing year, she should graduate this year. £500 left for housing, house maintenance and sewing machines. The contributions you made have made a huge difference, we only wished we could have brought some of the smiles home with us but you can see some of them here.